The trend for beards might have seemed like a flash in the pan when it emerged a few years back, but today millions of gents the world over still sport facial hair. Even the ladies are getting involved, with pop star Adele recently admitting that she grew a beard whilst pregnant with her son. 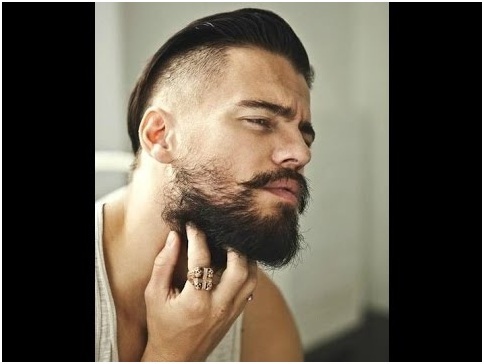 If you are looking to improve the state of your beard and make it look better than ever, these grooming tips could set you on the path that leads to the famous World Beard Championships. Cleanliness is the first step to a top-quality beard, and you can buy dedicated shampoos designed to achieve this. Just remember that daily shampooing is a bad idea because it will do more harm than good, damaging the hair and leaving your beard feeling brittle. Instead, you should aim to add specialist beard shampoo like those available from Henry Tibbs to your facial hair twice a week at most. This will keep it in fine fettle without overdoing it. The best post-shower grooming tip for beard owners is to apply beard oil so that it can both keep the hair well conditioned and also do its part in moisturising the skin beneath to prevent dryness and dandruff from developing. Oils for beards have the added benefit of providing a distinctive scent for your facial hair, and there are multiple options available, from traditional sandalwood to fruitier fragrances that add a tropical tang to proceedings. Perhaps the most important thing to remember when styling a beard is that you have to work to your strengths and only attempt to create a look that you can readily achieve with the beard that has been endowed upon you by the lottery of genetics. For those with thin or patchy hair on their cheeks, focusing on the moustache and using wax to make it a prominent part of your overall look is a good idea. Opting for natural waxes, with substances such as beeswax on offer, is a good idea if you want a particularly supple yet strong style. If you want to experiment before you commit, try using any hair wax you have on hand. This will help you decide whether or not a wackier beard setup is right for you.